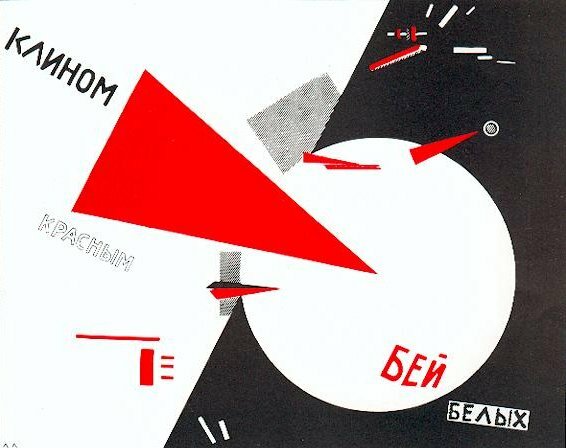 Matt's Film Theory Blog › Rodchenko, Vertov and more! So, what does this have to do with our readings? Well, Vertov’s manifesto calls not just for the politicization of art, but also for art to pervade everyday life, a notion that was also being echoed in Germany between the wars. The concept of having everything around you is part of a political movement- from the building you live in to the street signs outside your house to the stamps on your envelopes- is pretty alien to me, and more than a little bit scary (thanks, John Carpenter). But for Vertov, who, at least at the point when he wrote these Kino-Eye letters, was a true believer in the worker’s revolution, this immersion in a political world was a good thing. And seeing how we’re constantly bombarded by advertisements everywhere we turn nowadays, I wonder if total immersion in a political world is even avoidable. This was written by msbeatty. Posted on Thursday, February 25, 2010, at 2:21 pm. Filed under Uncategorized. Tagged Bauhaus, CCCP, Rowdy Roddy Piper, Vertov. Bookmark the permalink. Follow comments here with the RSS feed. Post a comment or leave a trackback. Right on with the pictures! It definitely gives us (or at least, “gives ME”) a better understanding of what the artist is trying to say about this time period. Even working people have a voice and Rodchenko’s art really do relate to Vertov’s “art and everyday life”, which includes film, photography and other art forms. As for if the “immersion in the political world is avoidable”, lets not hold our breath.